The primary driving force in the successful tenure of the space traveler is simple: survival. Whether entering a strange new station, scavenging for goods, or trying to level the playing field with an obstinate negotiation gone awry, sometimes a well-armed response might be your best hope for a tidy outcome in the Tau Station universe. A post-scarcity life can get rough from time to time. It’s best to be prepared with the proper tools to smooth it all out. Sometimes, the best tool is one of our various styles of guns. Previously, we offered a glimpse into The Art of the Market and The Art of Space Travel. 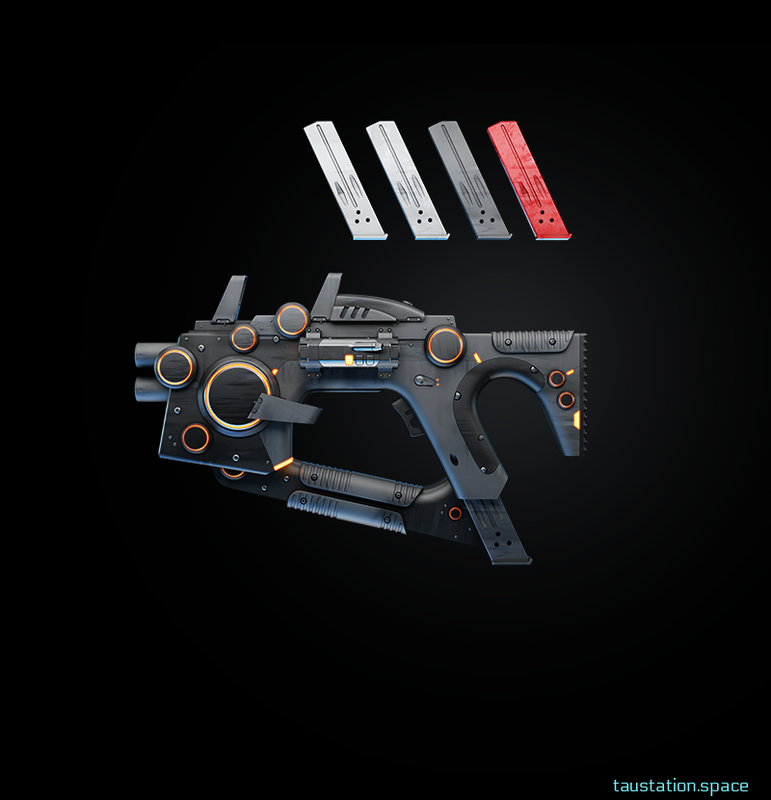 This week we’d like to present you with a sample of weapons devised by the Tau Station art team. 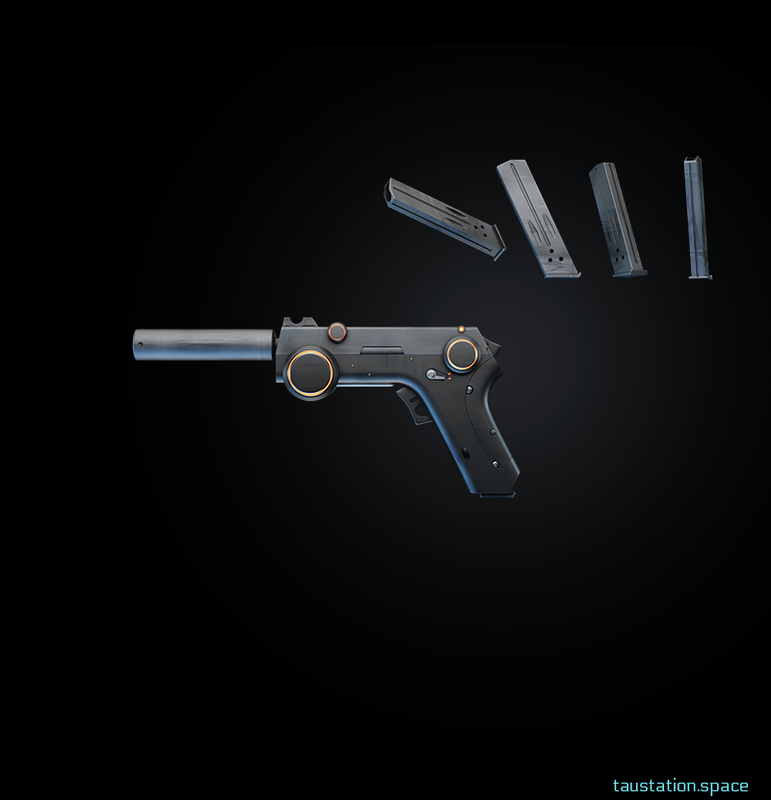 G-955: A simple, small handgun with a pair of clips, popular on Gaule Protectorate stations. Often a personal use piece; a sound economic choice. SiGIS: This hushed alternative to the typical handgun has been instrumental in a number of assassinations. SiGIS is celebrated for its quiet and efficient work. Trino: This automatic handgun is a favorite among smugglers. 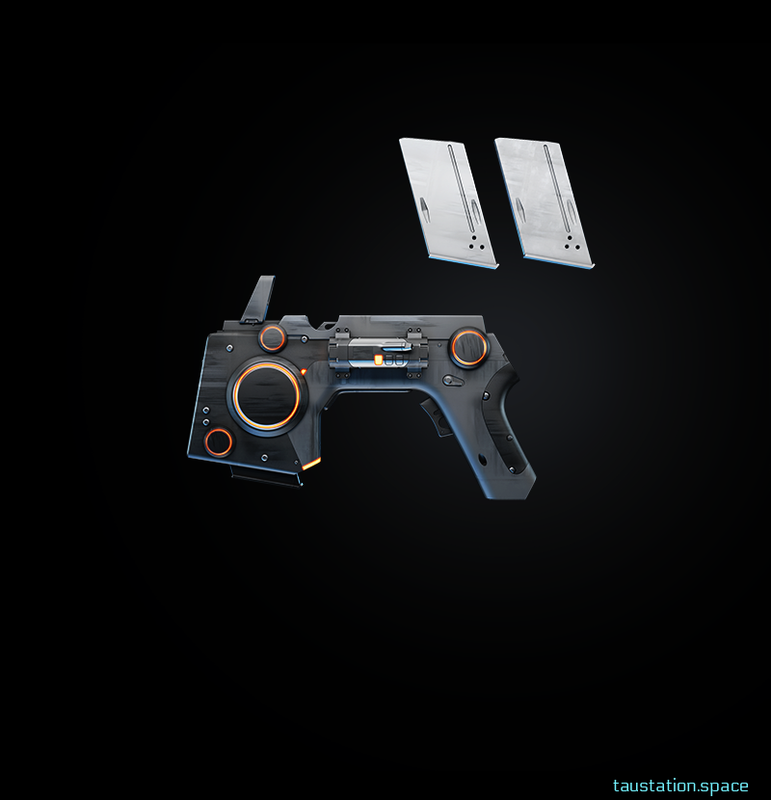 It shoots three bullets in rapid succession, in case you’re in need of getting your point across three times… at once. 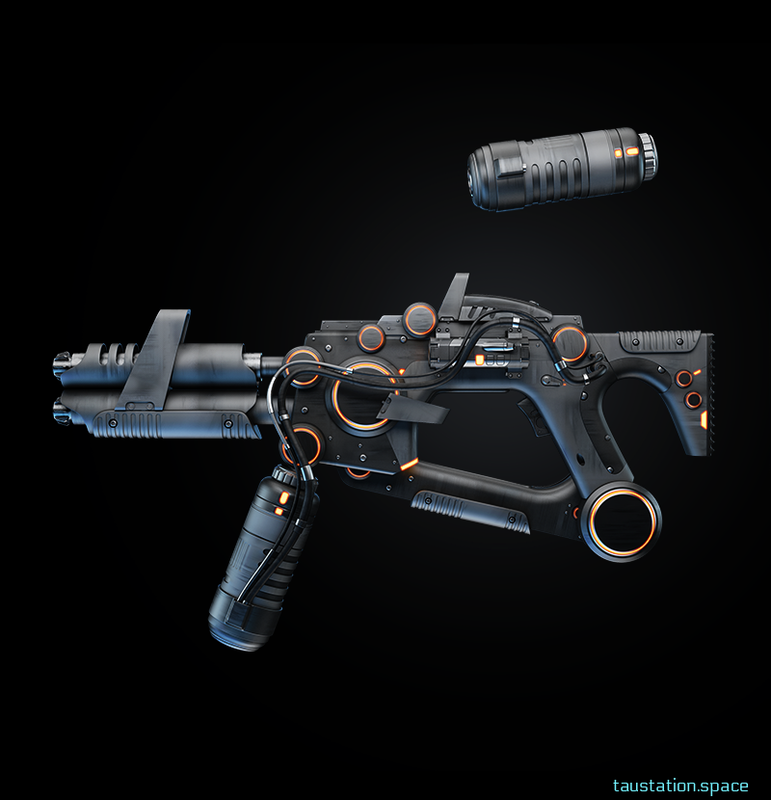 EnterpriserC29: This standard issue station police weapon is a light option handgun. Various types of rounds are available to maximize impact, piercing, and energy damage output. 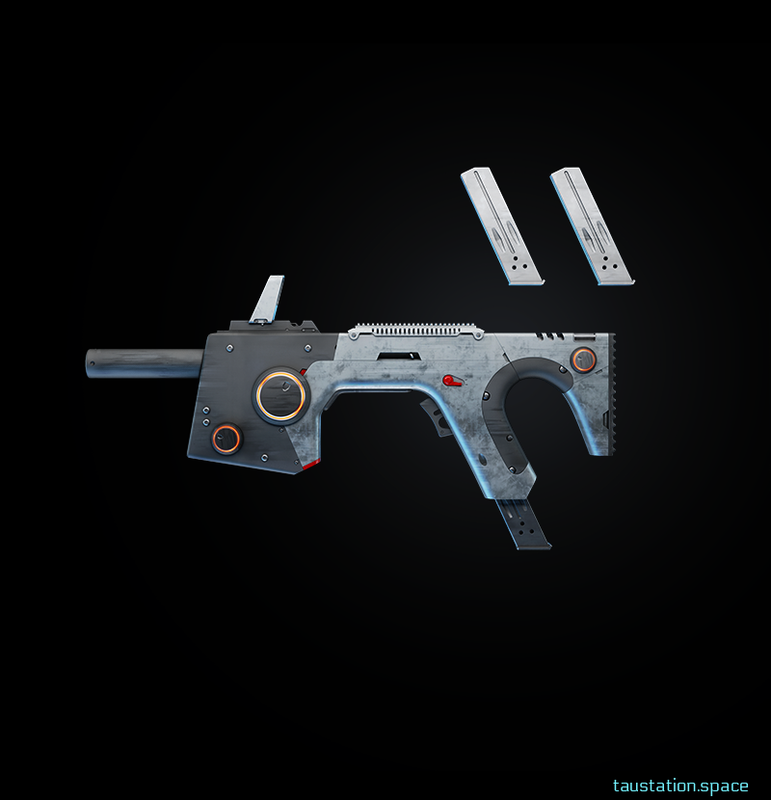 ENT-SMG: The submachine gun version of the EnterpriserC29 is a heavier weapon than its smaller sibling. It is used by many, from professional officers to civilians, as a personal defense weapon. 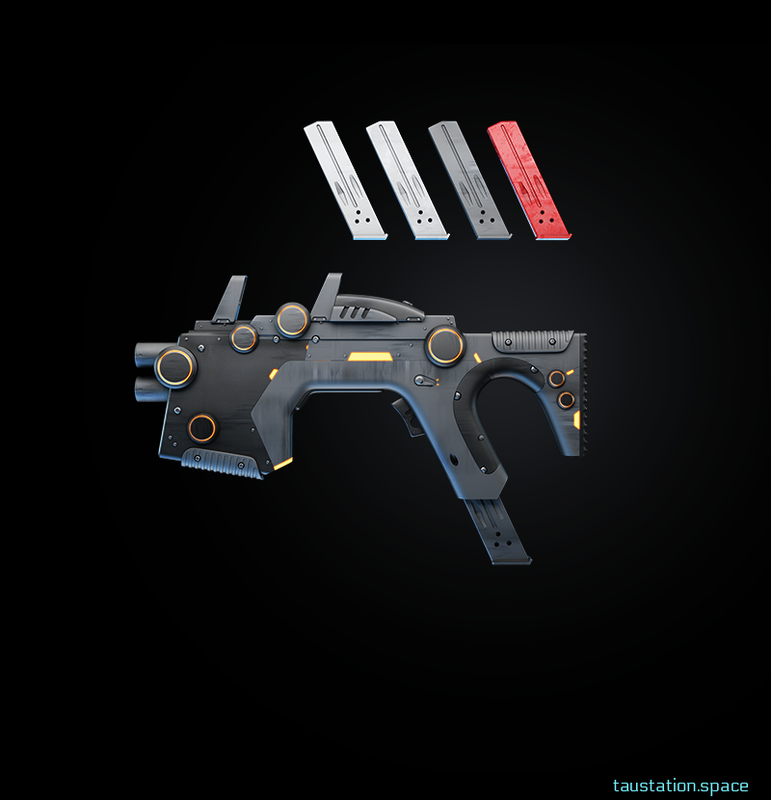 KillJoy: This carbine assault riffle is a favorite among both up-and-coming cadets, and business casual mercenaries. 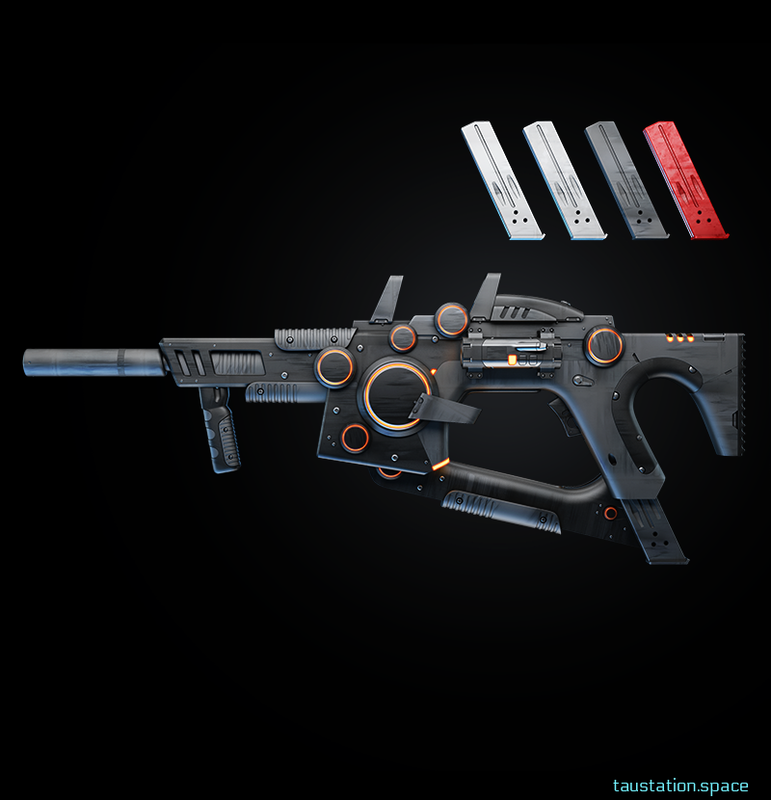 With a variety of damage types to choose from, most Killjoy owners find the gun vital to complete a look of intended intimidation. 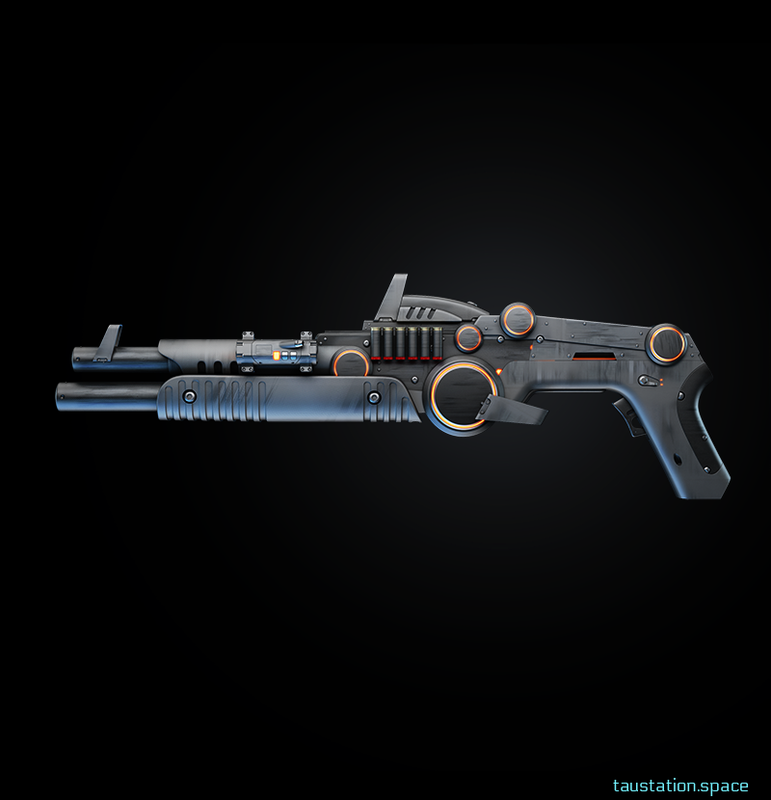 Fin-TSG822: This tactical shotgun is a powerful thing; irreplaceable in a scuffle in the ruins. The devastating payload often spells the end for whatever it hits, hence its name: Fin. Able to clear an area by either power or sound. Goram: You may rightly think, “A reinforced flamethrower must not have much use in an oxygen controlled environment like a space station, right?” but you’d be wrong. There’s always a use for a Goram Flamethrower. Just takes a little creative thinking, is all. Exploring the reconstruction of humanity is bound to present challenges to even the most hardened space adventurer. The possibility for combat lurks everywhere. If you wait too long and save up your credits, one day you may find yourself cornered by a nobody using a simple belt knife. Whether purchased from a station market, bought from a syndicate vendor, or even handcrafted, the right gun may tip the outcome of fortune in your favor. 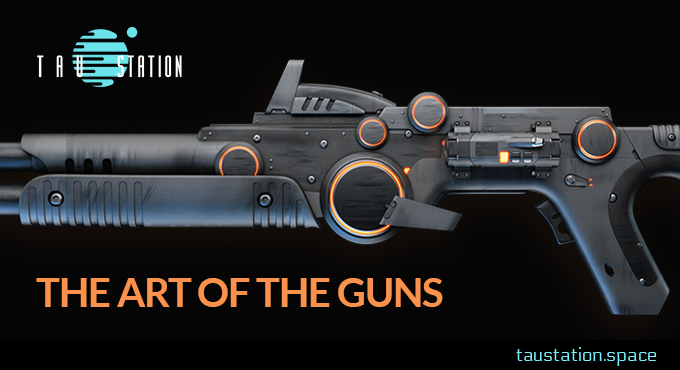 Travel safely with the aid of one of Tau Station universe’s lovingly crafted weapons.